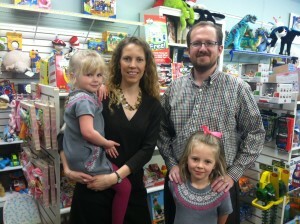 Mountain Top Toys has been serving Signal Mountain and the Chattanooga area since 1992. The only non-franchise specialty toy store in southeast Tennessee, the business most recently came under new ownership when Patrick and Joanna Holland took over in March of 2013. Previously, Patrick spent 13 years as an entrepreneur and executive at Mindspark Interactive, an Internet company based out of New York. There, he headed up a Creative Department responsible for both marketing and content creation, and a team focused on new product development and testing. He manages the day-to-day activities of the store and is the primary buyer. Joanna is employed at Signal Energy in Chattanooga as a Project Manager, and assists at the store on weekends as well as with business finances and taxes. Joanna and Patrick have two daughters, ages 7 and 6. Under the Hollands, Mountain Top Toys has kept its 22-year-long focus of offering unique, specialty toys and gifts, while making a concerted effort to also seek out new toy lines via resources like Kickstarter. The business is often the first in the area to offer children and their parents early access to new lines created by entrepreneurs around the country. The store offers free gift wrapping and a birthday bin program that recently went digital allowing parents of birthday party guests and out of town relatives to browse “wish list” items selected by the birthday boy or girl. This can be at the customer’s leisure via smartphone, tablet or computer without having to be in the store. As part of a supportive and family-focused community, the store makes it a priority to give back to local and area schools and charities. For more information on these programs, visit their website’s About page. Mountain Top Toys participates in the annual Holiday Ho Ho Expo at the Chattanooga Convention Center each November, and is open Monday-Saturday from 10am-6pm at their 1231 Taft Highway location in Signal Mountain. If you need a special gift for a special kid, or you just love toys, take the time to drive up Signal Mountain and browse the selection at Mountain Top Toys. You’ll probably leave with a cool, new toy! Everything has a home. If an item is worth keeping, it needs to have a place to be kept. Julie suggests teaching children early to let go of items that are no longer used, enjoyed or appreciated. Possessions that are still used and enjoyed should be placed in their “homes.” Make something of a story of it: shoes left in the middle of the floor are lonely for their other shoe friends in the closet, for example. Labels! Even children who cannot read can recognize stickers, so labeling all of the toys that go on a certain shelf with the same sticker can begin the process of helping kids learn where things go. As they learn and grow, an electronic label maker can make it easy for kids to help put things away in other parts of the house. Change your perspective. As adults we sometimes create organizational systems that make it difficult for kids to do their parts. For example, if you would like your child to help put away the dishes, but the plates are stored on a high shelf you’re going to encounter some difficulty. Make sure that your storage systems are appropriate for short people! Escape the toy box jungle. Tossing all the toys in one big bin seems easy, but it is an organizational nightmare. Small toys fall to the bottom, never to be seen (but sometimes are heard from) again, and it’s hard to teach kids how to categorize if everything is in one heap. Low, sturdy shelves with colored bins, and stackable drawers are often a better option. Smooth the morning routine – the night before. Julie suggest creating a morning “launch pad.” Carve out some time between dinner and bed for kids to think about everything they will need the next day. Put it all together on “launch pad.” The next morning, everyone will feel better and more relaxed as kids know what to expect, and where their things are. 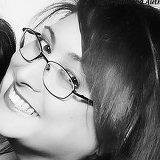 Julie Bestry, President of Best Results Organizing, is a professional organizer in Chattanooga, Tennessee, providing guidance in all aspects of organizing and time management. Julie helps residential, home-office, small business and corporate clients save time and money, reduce stress and increase productivity. Contact her at organize@juliebestry.com.